47” wire netting stretched between poles and/or t-posts provides very adequate fencing for Soay sheep, make sure that it is stretched tightly and there are no gaps, especially at ground level where lambs can crawl under the fence. Small paddocks or fields make it easier to handle the sheep and they seem to adjust to you and their new home more quickly in a more confined space. This also allows you to better manage the grazing of your fields. Once the flock has settled in and seems comfortable it can be released into a larger pasture. Soay eat a variety of forbs, herbaceous plants and grasses and do well on marginal pasture that will not sustain many livestock breeds. They are wonderful for controlling blackberries and a number of other invasive plants. When pasture is not available good quality grass hay (not alfalfa) will keep them healthy. All sheep require trace minerals. British Soay are especially susceptible to copper poisoning and you must be careful that their mineral supplement does not contain added copper. You may also need to purchase salt or minerals that have selenium added if you live in areas where selenium levels are low. Some form of housing will be required to protect the sheep from winter rain/ snow, wind and summer heat. Shelter does not have to be elaborate and can be a simple three or four sided shed. Ventilation is critical in a sheep barn, so make certain your shelter has good air circulation. Before you bring your flock home, have everything organized to welcome them. Move quietly around them and treat them gently and patiently. British Soay are naturally shy, but extremely curious, use that to your advantage. Develop a routine and stick to it, they are creatures of habit. A small amount of feed (grain or ration) will help them get use to you and they will become tame. Be sure to not over feed treats, grain and alfalfa can be a problem especially for rams. While Soay are relatively hardy, like any other animal they do require some care and cannot simply be turned into a field and forgotten. A basic maintenance program will consist of an annual vaccination and foot trim and regular worming. 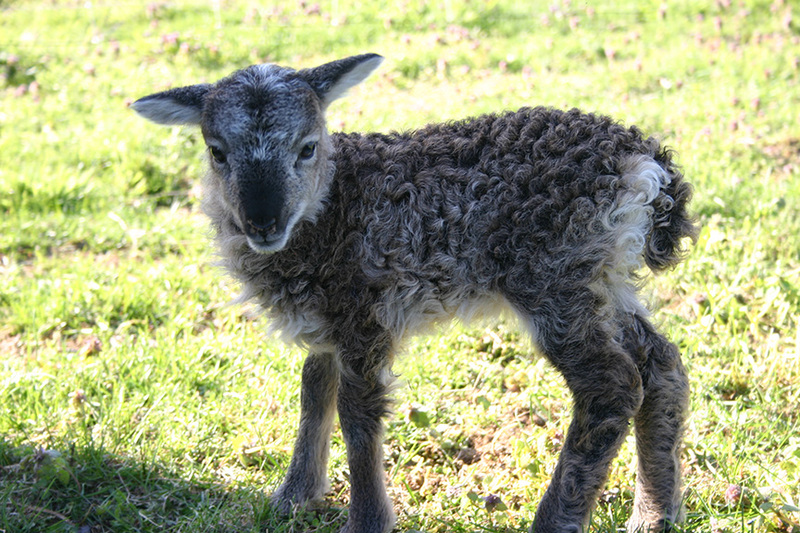 Soay wool is normally shed and can be plucked (rooed). Occasionally it does not molt and should be clipped (easily done with scissors) to keep the sheep cool in the heat of the summer and to protect them from fly-strike problems. Tails are naturally short and do not need to be docked.